Whether you’re an Android user or an iPhone user, there are a handful of accessories everyone should have. First and foremost, anyone and everyone with a phone that supports wireless charging needs a good wireless charger, and it doesn’t get any better than the Anker PowerWave Fast Wireless Charger. Then, for power on the go, you need a portable charger with plenty of capacity. 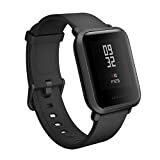 Good Bluetooth earbuds are a must-have and you can get a ridiculously popular pair on Amazon for under $20, and this $80 smartwatch with 3-day battery life is compatible with both major mobile platforms. Finally, for the times when you just can’t wait around for your wireless charger and you don’t want to carry a portable power pack, this 30W USB-C fast power adapter is only $18. Remarkably Compact: The smallest and lightest 10000mAh portable charger. Provides almost three-and-a-half iPhone 6s charges or three Galaxy S6 charges. 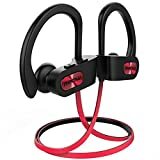 IPX7 SWEATPROOF EARPHONES: Mpow IPX7 Water-resistant Nano-coating efficiently protects sport headphones from sweat and ensure more guaranteed life span, perfect for running, jogging, hiking, yoga, exercises, gym, fitness, travelling and etc. Everyday with Mpow is like a valentine’s day! Travel Ready: Foldable plug and compact size ensure maximum portability wherever you want to go. 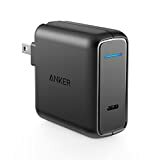 What You Get: Anker PowerPort Speed PD 30 USB C with Power Delivery, welcome guide, our worry-free 18-month warranty and friendly customer service.